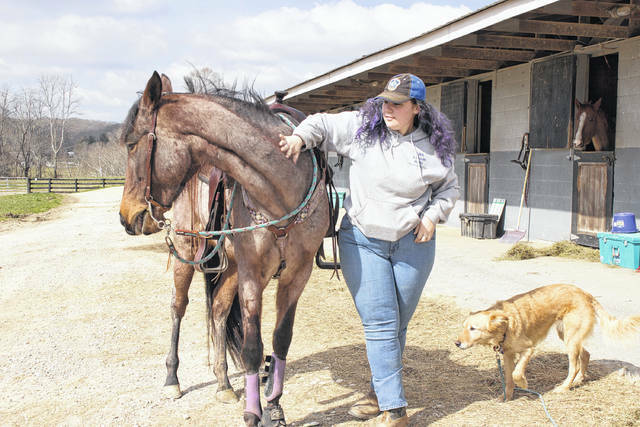 MOREHEAD, Kentucky — Sara Misura hopes to get the education she needs at Morehead State to start a business training horses. Misura is a junior double-major in equine science and agricultural business. 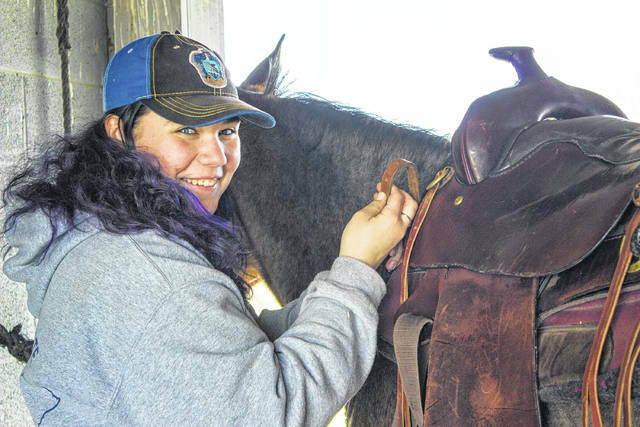 The Galion native and graduate of Galion High School, she is a member of MSU’s equestrian team’s saddle seat team and has been working with horses since 2013. She’s also the proud owner of a seven-year-old Tennessee Walking Horse named Rosa. Misura originally wanted to be a veterinarian, but couldn’t afford veterinarian school. 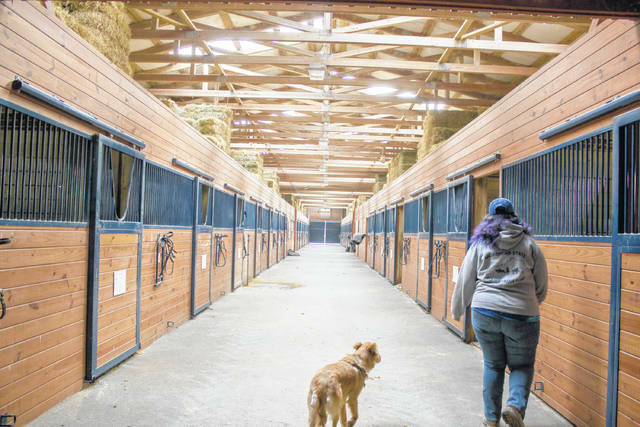 She decided to pursue equine science and agricultural business to learn to start her own training business. Her riding career nearly ended early in 2013 after an accident at the Medina County Fair, which caused a serious concussion and whiplash. In addition to her injuries, Misura said the incident gave her serious anxiety about riding again. A member of the equestrian team, Misura has competed in three shows thus far. Hunter Boggs is a student at Morehead State University in Kentucky. This article appeared in a recent issue of the Trail Blazer, the university’s online student newspaper.